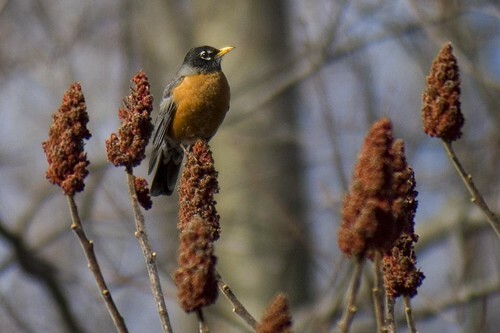 You are sure to see American Robin’s flying around Allegany State Park this weekend. They seem to be in large flocks and they are for sure moving through this area currently!! I do love seeing these guys! Spring is near! This entry was posted on 9 March 2012 by mon@rch. It was filed under iPhone . Saw my first one of the season here today.